Not many people put thought into preventing electrical fires in their home. You’ve probably never inspected your electrical wiring, but you definitely should. There are thousands of fires caused by electrical mishaps reported each year around the world and right here in Perth. These fires result in injury and death to many people. Electrical fires can be prevented by simple steps. Here are a few things that you can do to help prevent the risk of electrical fires. For those who have older homes or just want to be safe, you should hire an experienced electrician to inspect the old wiring in your home. Electrical wiring doesn’t last forever, so older homes are often overdue for wiring upgrades. Many of these homes have aluminium wiring, which is more prone to fires than copper wiring. The Copper Development Association has certain standards that must be upheld for wiring in a house. A professional electrician knows these standards. Their inspections show whether or not you need to update your wiring, and they’ll recommend the best course of action. An inspection will include reviewing all fire hazards in your house. They’ll test smoke detectors and keep curtains and other flammable items away from heat sources. They’ll inspect whether or not your home is properly grounded as grounding helps divert electrical current. They’ll check out the electrical panel to ensure that there is no corrosion or overheating. They’ll also see if any of the appliances in your home are in good condition. They’ll upgrade out of date equipment. Finally, they’ll address any other safety concerns that you may have such as light switches that aren’t working and damaged cords. One of the many causes of electrical fires is faulty wiring. Worn out, frayed, and tattered cords should be found and replaced with the best new wiring. Cords in any of the previously mentioned states can cause sparks, overheat, and then start a fire. If the cord is attached to an appliance, you simply buy a replacement cord. Attaching too many appliances and overloading your outlets, power strips, and extension cords is another common cause of electrical fires. A good way of preventing overburdening is to buy power strips that protect against internal overload. This is a feature that shuts off the power strip once too much power is being used and overloads the system. You should strategically place any flammable material away from the heat sources in your home. Items like curtains, blankets, tablecloths, etc. should be far away from hot appliances. That being said, heat producing portable items should be carefully placed too. If you’re whipping out a hair dryer and a curling iron to style your hair, then you want to make sure you’re not putting it near flammable material. The same goes for clothing irons, space heaters, and lamps. Any of these electrical items can start a fire if they’re carelessly misused. Some issues aren’t fixed with the simple replacement of a cord. The problem goes deeper and is often the result of electrical shorts and faulty wiring. If either of these is the cause of electrical problems that will lead to a fire, then you need to call an electrician. You can tell if your home has faulty wiring if the circuit breaker trips often, lamps flicker when plugged in, and outlets buzz or spark. You’ll also want to replace any connection that feels warm as that’s another sign of faulty wiring. Your home’s electrical system is built to last about 30 to 40 years, but it’s not unlikely that your home is older than that. Even if it is a newer building, checking the wiring is still a good move. Faulty wiring can be in homes both old and new. Electrical fires are hard to put it out. If you attempt to douse the fire with water, then you might get electrocuted. 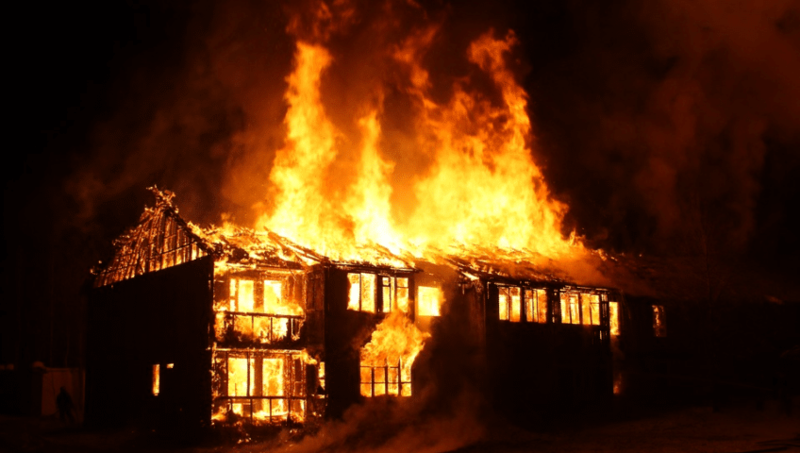 Plus, not all chemical fire suppressants can extinguish electrical fires completely. These fires are not something you want to lose your home or your life to, especially since they’re so preventable. To ensure that you’re always safe, make sure your fire extinguisher is always close by and get an electrician to inspect your home every now and again. Richtek Electrical & Air Solutions is the perfect electrical service for those living in Perth. We have experienced electricians who know exactly what to look for during an inspection. To ensure your home doesn’t suffer from an electrical fire anytime soon, call us today.